There is really no shortage of beautiful beaches in Brazil. And as a gay man you think instantly of those men who not only flaunt their six-packs in Rio, Salvador or Florianópolis. It takes a lot to get a Brazilian really excited about a beach. 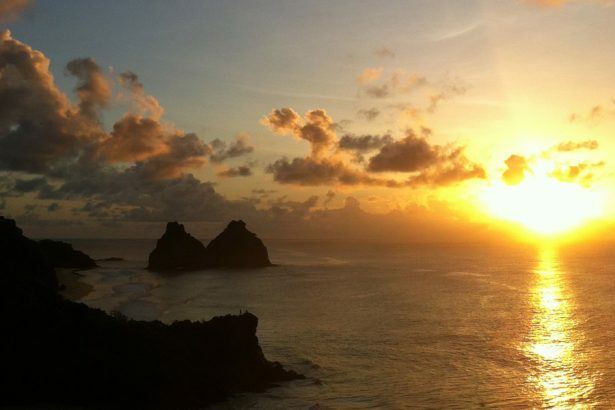 Put it to the test and tell a Brazilian that you’re on your way to Fernando de Noronha. What might be answered by a mere shrug by a European induces the exact opposite in Brazilians. They can’t stop their excitement – even if they have never been there. 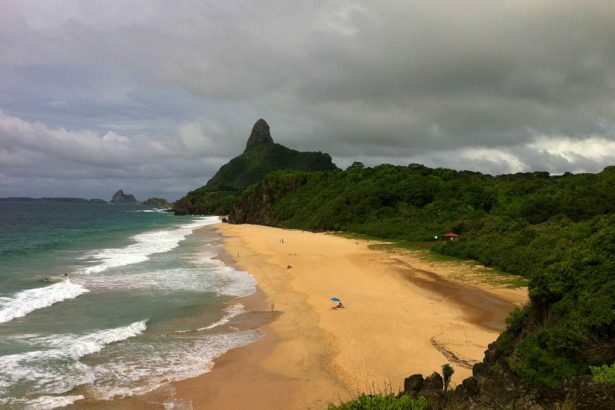 Man’s longing for paradise – it is almost fulfilled on Fernando de Noronha. Situated 350 kilometres off the northeast coast of Brazil, the small archipelago with its islands and rocks protrudes from the middle of the Atlantic Ocean. You can probably only find something similar in the South Seas. 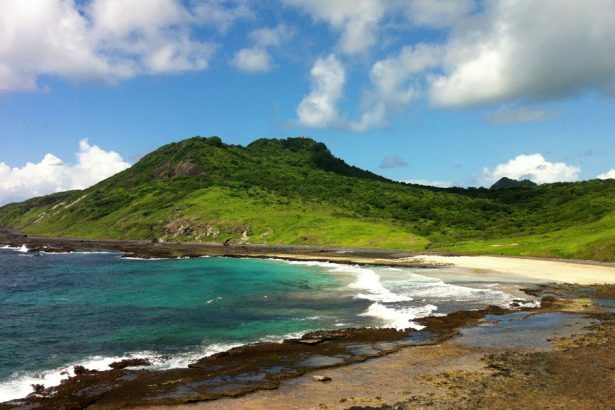 The main island of Morro do Pico with a total surface of 17 square kilometres looms magnificently up into the sky. 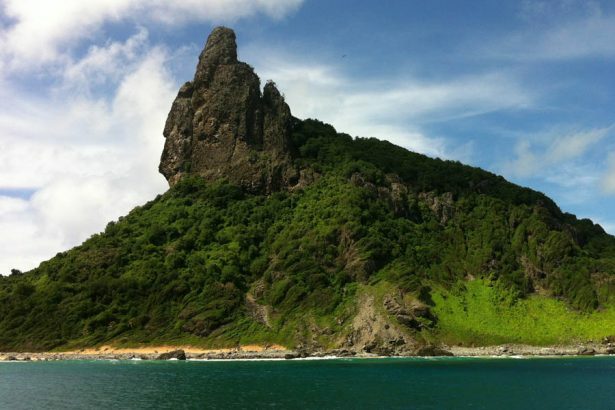 The impressive rock needle, which cannot hide its resemblance to a huge phallus, is a remnant of a gigantic volcano, just like all the rest of the archipelago. 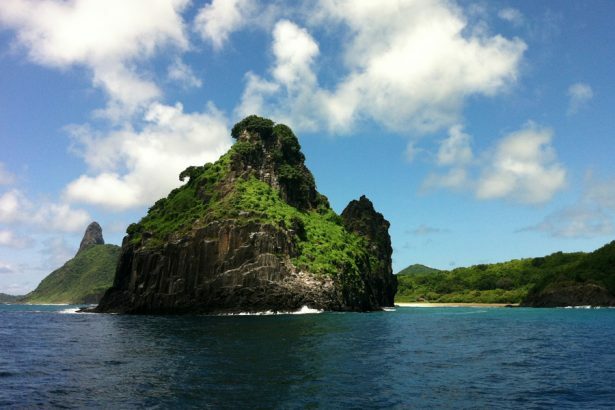 Tropical vegetation, lonely beaches and rugged rocks, remind you of movies like King Kong, Jurassic Park or Lost. 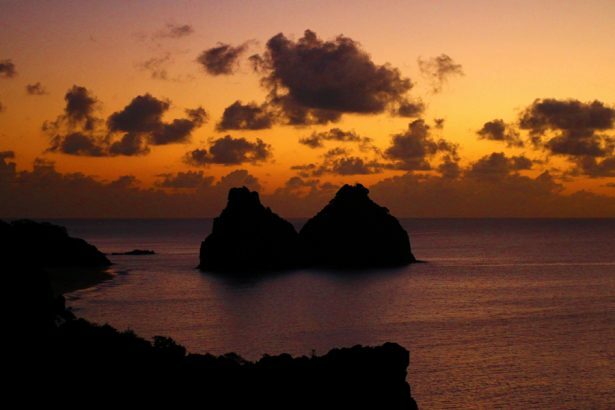 The fact that none of these films were shot here is probably due to the fact that Fernando de Noronha has only been open to visitors for a relatively short time. The island belonged to the Brazilian military until 1987. 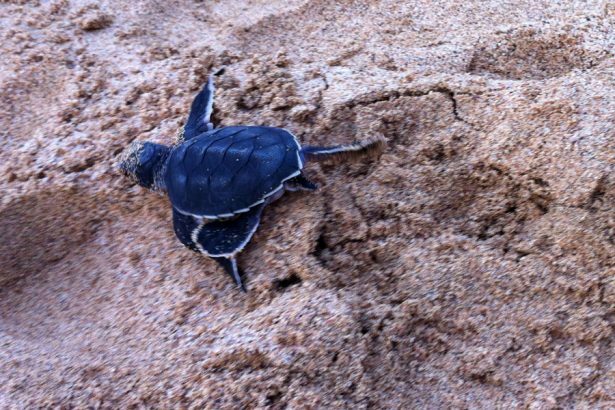 It was declared a maritime national park in 1988,and in the same year became part of the state of Pernambuco. Over 70 percent of the archipelago is part of the protected national park, which has been part of UNESCO World Heritage since 2001. 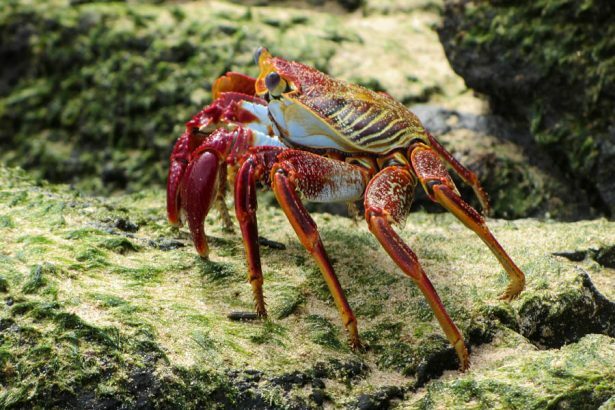 The regulations for residents and tourists are strict: in order to preserve the rich diversity of marine life, some of the dozens or so beaches are under the surveillance of the nature conservation authorities. Touching animals, disposing of garbage and entering protected areas are strictly forbidden. 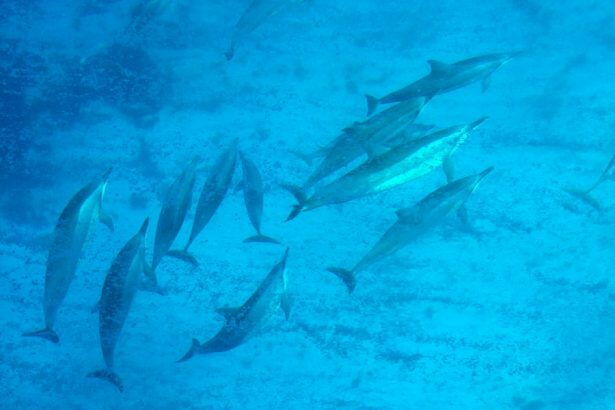 The island is famous for the world’s largest number of spinner dolphins, which are always present in the waters around the archipelago. 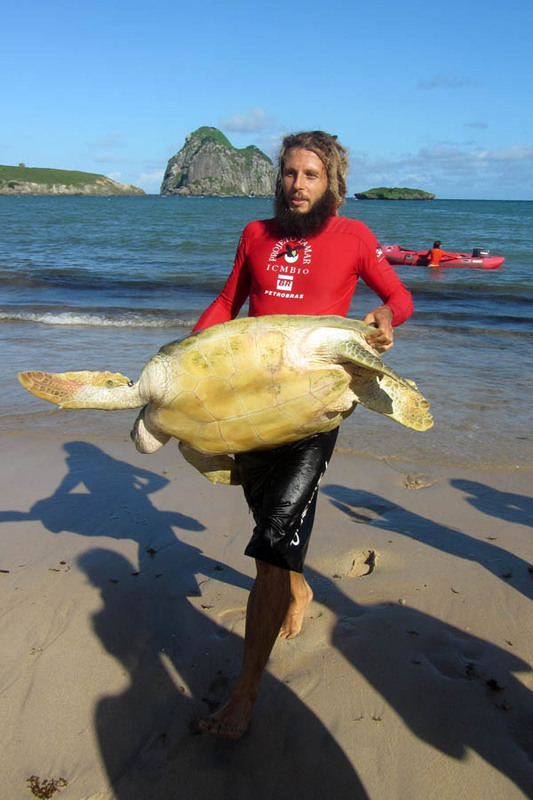 About 1000 marine mammals have already been counted in Baia dos Golfinhos. You are only allowed into water wearing a life jacket in Baia de Sueste in order not to damage the bottom of the bay that is covered with algae and corals in whose shallow waters a large number of sea turtles always search for food. Among other highlights is a one-hour hike to Atalaia Beach. If you wish to snorkel here, you can only do so accompanied by a guide. Low tide exposes a natural pool where you can observe countless tropical fish, moray eels, octopi or even small sharks. 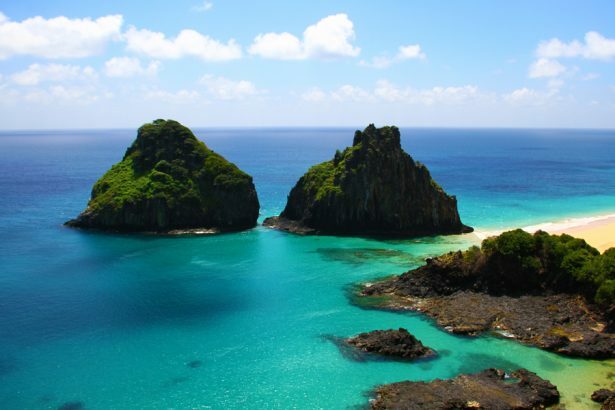 You should always take the snorkeling equipment with you that can be rented at the port for the duration of your stay on Fernando de Noronha. 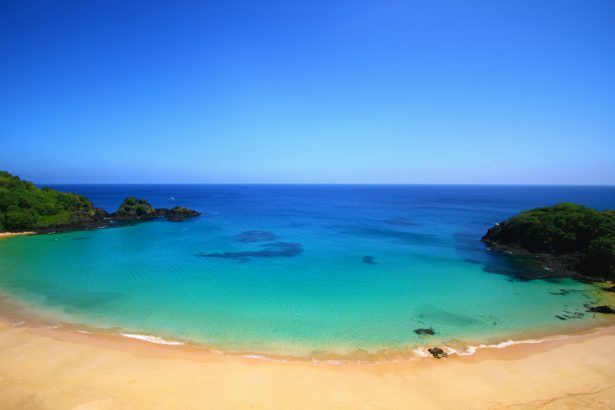 Be it on a boat trip around the island or on excursions to the beaches of Baia dos Porcos or dreamlike Praia do Sancho. The beach framed by steep cliffs is certainly one of the most beautiful in the world, the title of best beach in Brazil is regularly guaranteed. Crystal clear water, white sand and hardly any visitors – the beaches of the island lack anything to be desired. A visibility of 50 metres and extremely eutrophic waters, home to tunas, barracudas and sharks make the archipelago the best place for diving in Brazil. 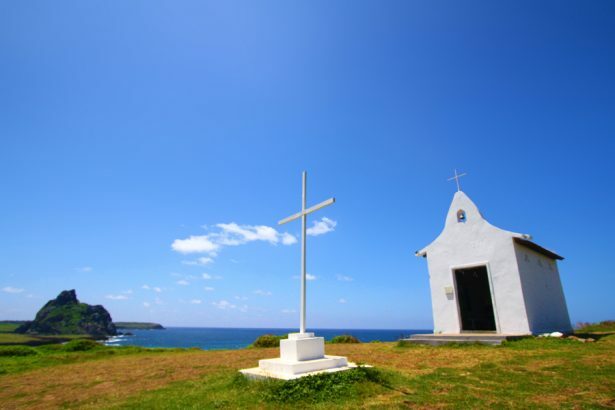 If a holiday on Fernando de Noronha was still a real adventure a few years ago, the standards of accommodation and restaurants are adapting more and more to those of the mainland – even if there still is a lack of information in English and according language skills in many places. 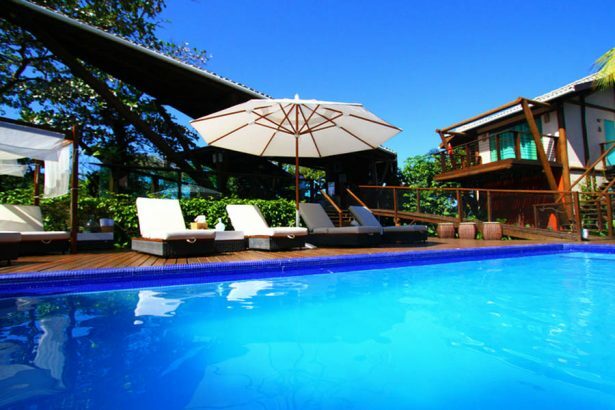 The luxury ecotourism segment is really booming on the island. 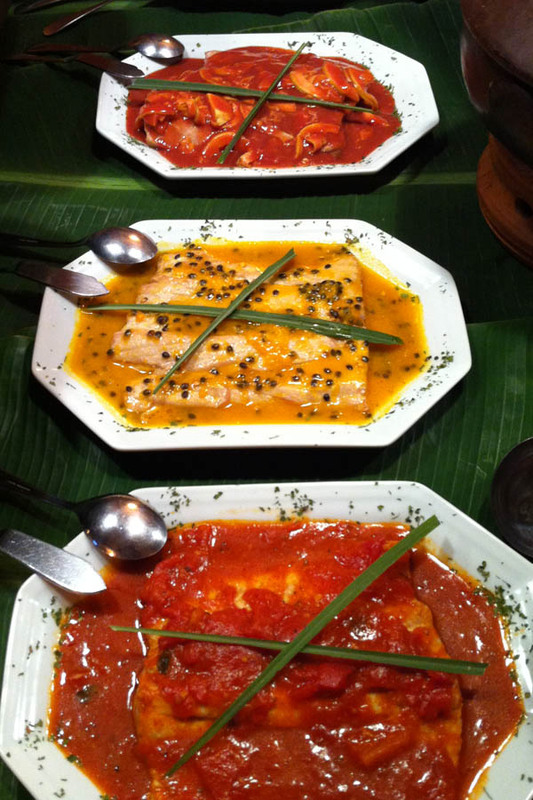 Pousadas (small hotels) such as Teju-Açú, Triboju or Maravilha offer every conceivable comfort claiming to do so sustainably. The remoteness of the archipelago with all its problems like waste disposal, food supply and drinking water do not make life on the island cheap. The daily number of tourists allowed to visit the island is limited to about 400. An environmental tax is levied on top of this, which increases disproportionately depending on the duration of your stay. 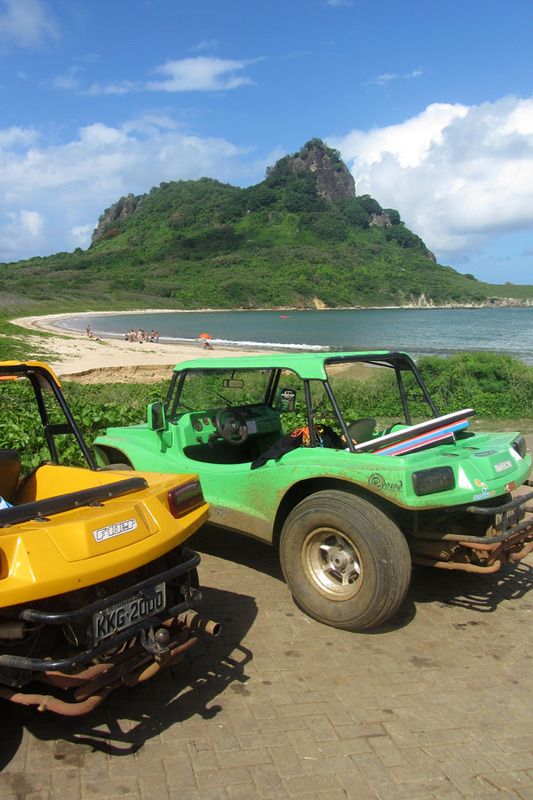 Those who want to visit Noronha during high season between September and January have to expect high fares, rates for accommodation and all-terrain vehicles. The advantag is that you might be spared heavy tropical showers which are frequent during rainy season. 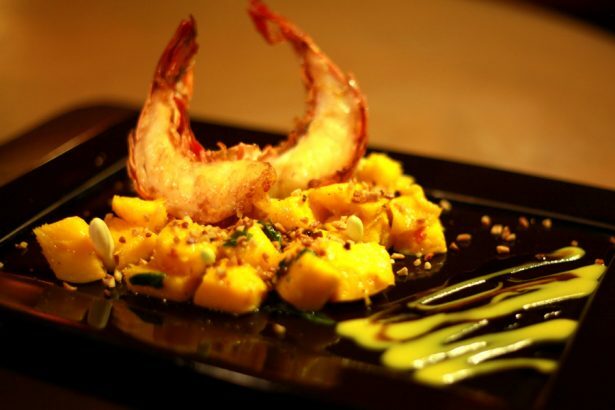 Offical website of the Brazilian tourism board providing information on the various regions. 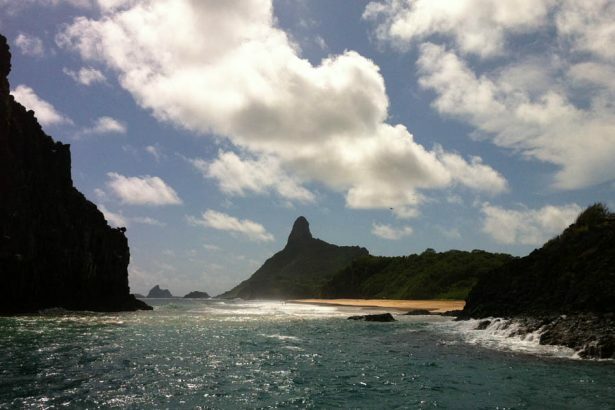 Official website for Fernando de Noronha providing lots of tips and information. are available from about 400 Euros. An environmental tax is levied upon arrival, which increases disproportionately depending on the duration of your stay. The daily tax is 17 Euros and increases if you stay 11 days or more. We recommend that you make a reservation for accommodation as most places are fully booked during winter season long in advance.